The Black Bears are coming off a season with 23 wins and an NCAA tournament appearance. 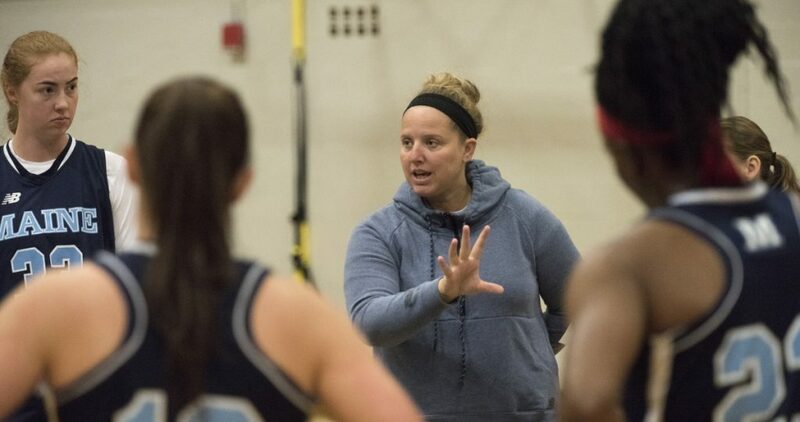 ORONO — Amy Vachon stood near midcourt and watched as her University of Maine women’s basketball players went through a defensive drill last week. After one repetition, she stopped them and pointed out what she was looking for – the positioning of their feet and bodies and what happens if they’re off. Unlike 2017-18, when uncertainty shrouded a Maine women’s team that had only seven returning players and a head coach on medical leave, this is a team with high expectations. That tends to happen when you win 23 games and the America East championship and advance to the NCAA tournament for the first time in 14 years. Maine lost only two players from that 23-10 team and has five of its top six scorers back. Junior forward Blanca Millan led Maine with 17.5 points and 99 steals while averaging 5.1 rebounds. Sutton averaged 12.1 points and a team-high 6.9 rebounds, and had 94 assists. Junior forward Fanny Wadling averaged 6.4 points and 5.6 rebounds. Sophomore point guard Dor Saar averaged 5.6 points and had 93 assists. Wadling said there is a much better comfort level among the players and coaches. That’s what the Black Bears have to do in order to be successful again. “For us, it’s going to be hard to make the leap from 23 wins to 26 (or) 27 wins or something like that,” said Vachon. “In order for us to beat the teams we lost to last year, we have to be better at all the little things, the fundamentals that we harp on every day. And you have to continue to do that. Maine opens Nov. 10 at home against Toledo. Its nonconference schedule includes games with Duke (and former Maine head coach Joanne P. McCallie), North Carolina A&T, Pennsylvania, North Carolina and North Carolina State. The Black Bears like having a target on their back.